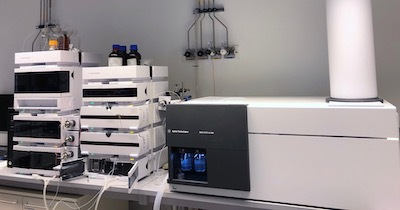 The group develops chromatographic techniques from analytical to preparative scale, with a view to push the limits in terms of both separation power and sensitivity. i.e. Centrifugal Partition Chromatography (CPC or countercurrent chromatography), Ultra High Performance Liquid Chromatography (UHPLC) and Supercritical Fluid Chromatography (SFC) with a particular focus on multi-dimensional chromatography hyphenated to multi detection (DEDL, UV, MS). Instrumental development in CPC and green solvents. Biorenewable solvents, which offer new approaches for highly complex samples are evaluated as chromatographic phases in CPC. We develop ionic liquids as non-molecular stationary phases, to create tunable orthogonal retention mechanisms. We also investigate aqueous two-phase systems for the separation of intact proteins. A new methodology for CPC optimization is currently elaborated in terms of speed and productivity, from lab-scale to pilot-scale. In this context, CPC can be a production technique, a sample pretreatment or a pre-fractionation hyphenated to HPLC analysis. Theoretical approach is developed to improve the multi-dimensional configuration (filled loops, make-up solvent, enhancement of mobile phase compatibility, choice of stationary phase) and to establish new descriptors to assess the separation power in RPLC x RPLC, RPLC x HILIC, RPLC x SFC or UHPLC x SFC systems. Calculation tools are under development to optimize all the parameters encountered in multi-dimensional separations. Data analysis is improved by the development of suitable calculation tools (chromatogram cutting, baseline subtraction, peak realignment, 3D-reconstruction, qualitative analysis and quantitative analysis).